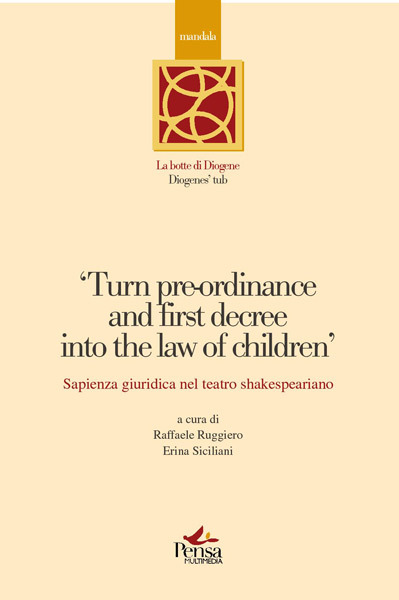 Why have so many scholars, who are studying the relationship between law and literature, so often focused on Shakespearian theatre or otherwise on juridical and literary characters of English culture during the XVI and XVII centuries? What did common law mean for English jurists at the beginning of the modern age? In 1647 David Jenkins wrote: “The Law of this Land hath three grounds. First Custom. Secondly Iudiciall Records. Thirdly Acts of Parliament. The two latter are but declarations of Common Law and Custom of the Realme”. And Sir Edward Coke, the great rival of Francis Bacon and the principal character in the Parliament’s opposition against the Stuart absolutism, wrote at the beginning of his Institutes in 1628: “This legall reason is summa ratio. And therefore if all the reason that is dispersed into so many several heads were united into one, yet could he not make such a Law as the Law of England is, because by many successions of ages it hath been fined and refined by an infinite number of grave and learned men, and by long experience growne to such a perfection, for the governament of this Realme”.